I have read through the 7 volume series In Conversation with God, edited by Francis Fernandez a number of times. 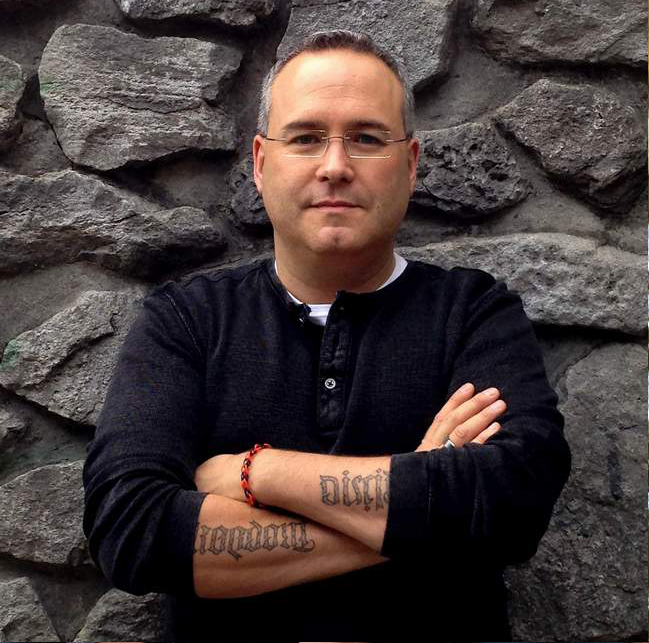 So when I recently say that Francis Fernandez Carvajal has edited a number of other books I immediately picked them up. Having read two of them so far I am very thankful I did. This books are excepts from a forthcoming much longer volume. The introduction of this book states: "This collection of quotations aims to be useful to someone looking for points to ponder in prayer, for those preparing a homily or a talk, or an article for publication. The Introduction offers a reflection on the theme which can serve as a basis for a homily or a talk. Then follow some references to Sacred Scripture, followed by quotations from the Magisterium, the Fathers of the Church, and the saints. This publication is taken from an Anthology [in preparation] and paragraph numbers are the ones used there." And that is exactly what you get in these short volumes. 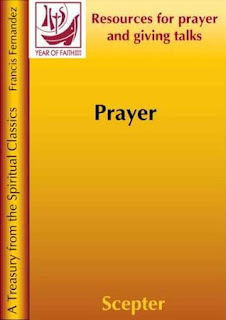 In this book you get concise short teachings on prayer. The first chapter is numerous bible quotes on; the prayers of Jesus, Christian prayers and prayers of the church. And then each chapter after that is a number of quotes from church fathers, the magisterium, Saints and others from church history and even more recent authors. In fact between chapters 2 and 17 we have 159 quotes on prayer, points that can be used in writings, preparing talks and also for personal reflection and meditation. To be honest there are so many great quotes it made it almost impossible to pick a few to share, but to give you a few samples, I had to make some hard choices. 3740 Prayer is an elevation, an application of our mind and of our heart to God, to make known to Him our wants and to ask for His assistance (Curé of Ars, Sermon on Prayer). 3749 All the blessed (except infants) have been saved by prayer. All the damned have been lost through not praying; if they had prayed, they would not have been lost (St Alphonsus Liguori, Prayer: the Great Means to Salvation and Perfection, 1, 1). 3761 When we speak with God in the prayer, the Son is united to us, and when he prays, the body of the Son does it united to the head. In this way the one Saviour Our Lord Jesus Christ, Son of God, prays for us, prays in us, and while at the same time it is He to whom we direct our prayers. He prays for us as our priest; he prays in us as our head; he receives our prayer as our God (St Augustine, Commentary on Psalm 85). 3833 This is how the early Christians lived, and this is how we too should live: meditating the doctrine of our faith until it becomes a part of us; meeting our Lord in the Eucharist; the personal dialogue - prayer without anonymity - face to face with God. This must constitute, so to speak the ultimate substance of our behaviour (St Josemaría Escrivá, Christ is passing by, 134). 3853 For us, light is the intelligence, which shows itself to be dark or lit up, depending on the quantity of light. When one neglects prayer, which feeds light, the intelligence quickly darkens through lack of light (St John Chrysostom, Catena Aurea 4). Hopefully those 5 samples wet you appetite for this wonderful little book. I can highly recommend this book and if the other 5 are just as good I cannot wait to read them and the whole anthology when it becomes available. A wonderful book available at a great price!